Traffic, traffic and more traffic – A little reminder that the middle school day starts at 8:30 am (late start Wednesdays start at 10:30 am). We have seen a rise in the number of middle school students who are coming to school late. We understand that traffic can be unpredictable, especially when it rains, and students may be late from time to time. We just want to make sure that students are not missing instructional time in the mornings and that classes are not disrupted. Parent/Teacher Conferences – Parent/Teacher conferences are on Wednesday, November 9th from 8 am to 8 pm and on Thursday, November 10th from 8 am to 8 pm. 6th grade signs up with Ms. Tran, and they will see both Ms. Tran and Mr. Giles. 7th grade signs up with either Ms. Miller or Ms. Schumann. 8th grade signs up with either Mr. Avison or Mr. Dyer. Conferences last about 25 minutes, and they are student-led. If you have not signed up yet to attend, please contact our main office at 503-916-6200. Help with meals for teachers during Parent-Teacher Conferences: Parents will be providing meals during the long hours of conferences for our wonderful teachers and staff. 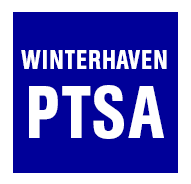 Please go to http://signup.com/go/Aj5iPt to sign up to bring a dish or email: volunteer@winterhavenschool.org. Winterhaven apparel – Our new Winterhaven t-shirts, baseball shirts and sweatshirts are ready to be ordered. We have a new logo and all items will be made with nice, soft cotton. The order form is at the bottom of this newsletter for your convenience if you are able to print it. There are also forms in the office. Feel free to stop by and place your order while you are in the building next week for parent/teacher conferences. Apparel will be delivered to the school office December 9th. Lost & found update - Great news! At conferences next week, you'll have the opportunity to cull through the racks of coats, t-shirts, pants, and miscellaneous clothing, stacks of food containers, drinking bottles, and piles of lunch pails and bags! Please take the time to locate your property and take it home. Also, we really could use a few more volunteer parents to wash out lunch containers and hang up lost coats. The supplies to wash out food containers are located in the upstairs staff room (and restocked by the PTSA). Wilson Cheer Youth Clinic – Wilson Cheerleading is hosting a Basketball Youth Clinic in order to raise funds for the USA Nationals Competition. Clinic is November 12, performance is December 9. Fliers and more information can be found on the Peachjar website. Peachjar – PPS utilizes the communication tool called “Peachjar”. This is an online flyer distribution system. School-approved fliers are sent to you electronically. More information can be found on their website:https://www.peachjar.com/parents.html. PPS High Schools Welcome 8th Grade students - Prospective high school students can visit their neighborhood high school or a focus option school at information sessions being held district-wide November through February. Students attend their neighborhood high school or apply through the January lottery to attend Benson or Jefferson. Students who live in the Jefferson attendance area have a guaranteed slot at Jefferson or at a comprehensive high school assigned by address. They must fill out a dual-assignment choice form in January. Look up a student's assigned high school. Download a dual assignment form and learn more at www.pps.net/schoolchoice. If you can’t attend an information night, some schools offer tours or the opportunity to shadow a student. Call the school you are interested in or go online for their policies. View school websites for more information. Learn more about the high school modernization work through the PPS School Building Improvement Bond. TAG - Nominations -TAG nomination forms are due Thursday, November 17th. The nomination forms are located in the office, on the TAG bulletin board, and at:http://www.pps.net/cms/lib8/OR01913224/Centricity/Domain/196/IDPF%202016-2017.pdf. The TAG office will not accept late forms. You can give the form to Dave Huckaba dhuckaba@pps.net or to your child’s classroom teacher. Attendance – Please remember if you wish to notify us by email that your child will be absent, please send that email to cdambrosi@pps.net. You can also call our attendance line – 503-916-6221. After School Activities – As we receive information from after school groups, we will post them here in our weekly newsletter under After School Activities. If you have questions about after school activities, please contact our school secretary, Caroline D’Ambrosi. NeoGeography Club - Club meets on 2nd and 4th Tuesdays, from 3:00-4:00 p.m. in the computer lab. There is no charge to participate. To sign up, contact club leader Rex Fisher at neogeographer@gmail.com. Sign up with a friend or come make new ones. Hope to see you there!